Welcome to the fifth in our ‘Off the Beaten Track‘ Cambodia series. 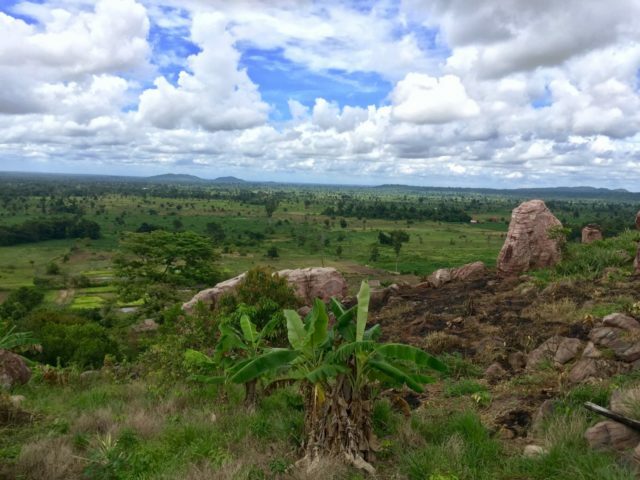 In the first installment – Off the Beaten Track Cambodia – Kulen Mountain Day Trip, I explained how we’d try to visit a new off the beaten track destination in Cambodia every month. The aim being to encourage people to spend more time in Cambodia and to experience what it else it has to offer besides the usual tourist sites. We managed it for four months, but then due to work and other South East Asia travel we failed miserably. Four months passed without another off the beaten track adventure. Finally, in mid-August, we got our acts together and ventured out for a day trip to Peung Tanon or Standing Stones as they’re otherwise known. I’d never even heard of this site until another expat told me she’d visited with a local friend. This, of course, piqued my interest and I set about arranging a trip there with friends. Located about 70 km to the North of Siem Reap city, at the top of a cluster of hills is Peung Tanon (Standing Stones). It’s a stunning, natural geological wonder consisting of a series of huge sandstone formations dotted around the hilltop site. Nobody seems to know much about them at all; how they formed and their history remains a mystery. When asked, a guide at the site suggested the site could once have been an ocean bed and the Khmer Rouge may have used it during the Pol Pot regime. To be honest, though this sounded like guesswork. When we visited Peung Tanon Standing Stones there was no entrance fee. It did, however, look as if a ticket booth was halfway through being built so I suspect it won’t be free for long. 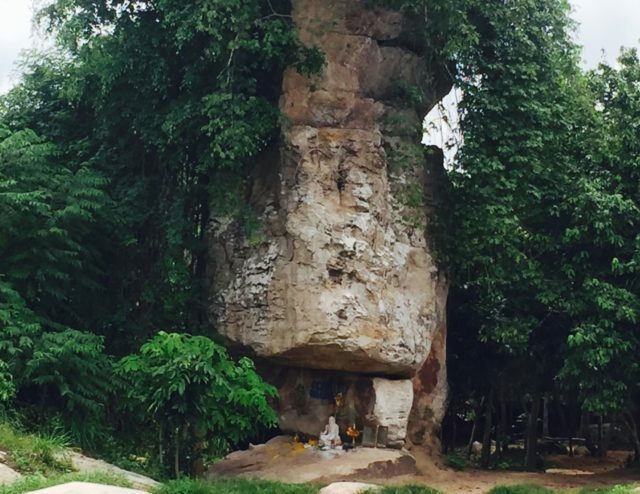 A visit to Peung Tanon Standing Stones can be done in a short day trip from Siem Reap. It takes between five and seven hours depending on how long you spend there and if you stop at all on the way there or back. Once you arrive don’t expect there to be a whole load of activities or facilities to keep you entertained…there’s not. What you will find, however, are many unique, naturally formed geological features, set in a stunning lush, green landscape. There are really only two things to do – explore the site and admire the views at your leisure. When you first arrive at the site there’s a small, tree shaded parking area for you to leave your vehicle. When we got there, a few locals and a couple of saffron robed monks were sat on wooden platforms and lazing in hammocks. A short 10-minute easy trek uphill and through a small community is needed to reach the actual site. We passed by a few houses on stilts and some sort of shrine, before emerging out of the trees onto the hilltop. Dotted amongst carpets of colourful flowers and bright green vegetation are many sandstone formations and rocks of different shapes, sizes and colours. 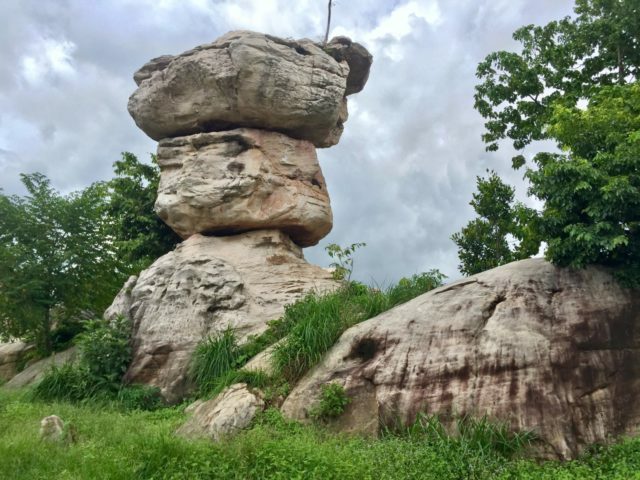 Some rocks appeared to be balanced on top of one another or positioned in such a way they gave the illusion of a human face or some kind of animal. As we explored the site we were dive bombed by low flying dragon flies and beautiful butterflies. 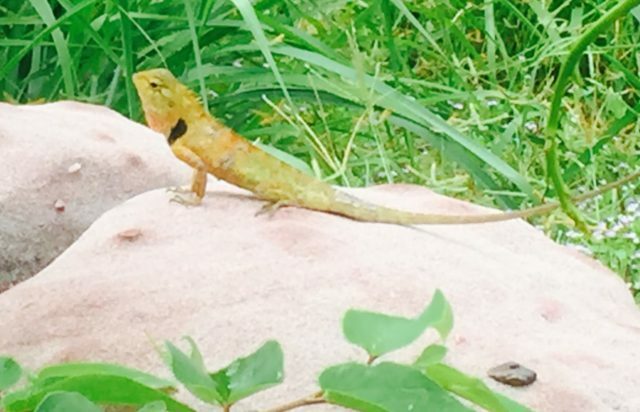 We also spotted a gecko and another unidentified lizard basking on the hot rocks. The other great thing about this site is the amazing views across stunning Cambodian countryside. To the left of the rocks are verdant green rice paddies, water buffaloes, swaying palms and red dirt roads. Some of the rocks are climbable and give some great photo opportunities. The best is a huge rock to the right of the site which offers a birds-eye view of the other standing stones and rural Cambodia. One other thing Peung Tanon would be perfect for is rock climbing and bouldering so if you have the shoes and equipment with you be sure to take them along. Andy forgot his and was gutted as many of the formations offered some great climbing routes. There are a few dubious looking little food shacks and stalls around the car park area of the site, but I’d recommend giving them a wide berth. The canned drinks and bottled water are probably o.k. but personally, I wouldn’t risk the food. Your best bet is to take a picnic lunch with you which you can enjoy on the flat surface of one of the rocks. 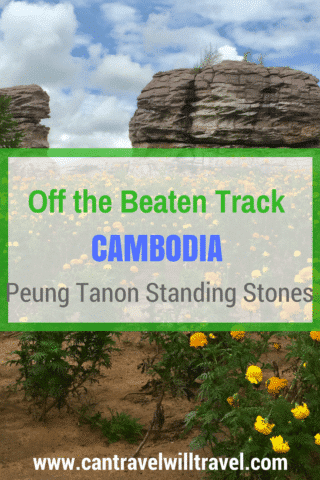 Peung Tanon Standing Stones is as ‘off the beaten track’ as you’ll get near Siem Reap, which I soon realised when I began to organise the trip. There were only a couple listings in Google (with different spellings), and very few locals had even heard of it. You can get to the site by van, car, tuk tuk, motorbike or bicycle. Given the state of the roads and the length of the journey, I’d imagine going by tuk tuk or bicycle could make for a pretty uncomfortable journey. We hired a mini-bus as there was a group of eleven of us, you can expect to pay between $60 USD (£47) and $80 USD (£62.50) for a mini-van. The other good option is to go by motorcycle. You can hire a moto dop (motorcycle-taxi) with a driver for between $25 USD (£19.50) and $30 USD (£23.50). Peung Tanon Standing Stones is in Kok Dong Village in Siem Reap province to the West of Kbal Spean and takes around two hours to get there. The journey is a quite an adventure as the roads are in a pretty dire state. They look as if someone has rolled out a strip of tarmac down the middle but forgotten the edges. They’re also full of huge pot holes and cracks, so be prepared for a bumpy ride. The rough journey is worth it though as you also get to see some of rural Cambodia, completely different to the busy, touristy Siem Reap. 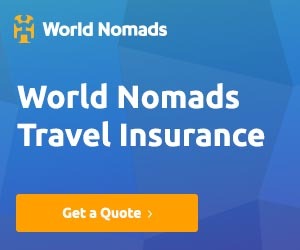 The route takes you past rice paddies stretching as far as the eye can see, buffaloes cooling off in muddy water and fields full of tapioca and cassava plants. You also pass through several villages, with locals going about their daily life, children playing and all manner of livestock, cats, and dogs milling about. On our way back we also spotted some pigs on the back of a bike…no doubt on the way to market! Not a nice sight to behold but the namesake of Andy’s YouTube Channel ‘Going Nomad…aka Pigs on Bikes‘. I managed to find some directions on Google Maps after trying many variations of the spelling and have added the map below. 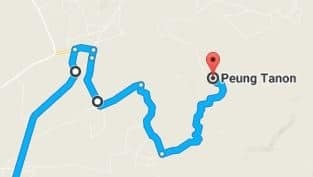 One thing to note is that our driver didn’t follow this map exactly. I’m assuming because the roads suggested on Google Maps were too bad as you get closer to the site. I couldn’t embed a map of our actual route but here’s a screen shot which should help. This is the ticket booth that’s being built and is where you need to turn off from the main road. To date, Peung Tanon Standing Stones is the only sandstone formation site of its kind discovered in Cambodia. There is a natural beauty to these fascinating natural formations in their lush setting, and the lack of tourists make it even more special. If you have the time and stomach for a very bumpy journey be sure to head out of Siem Reap to this very off the beaten track destination before it becomes another of Cambodia’s tourist attractions. 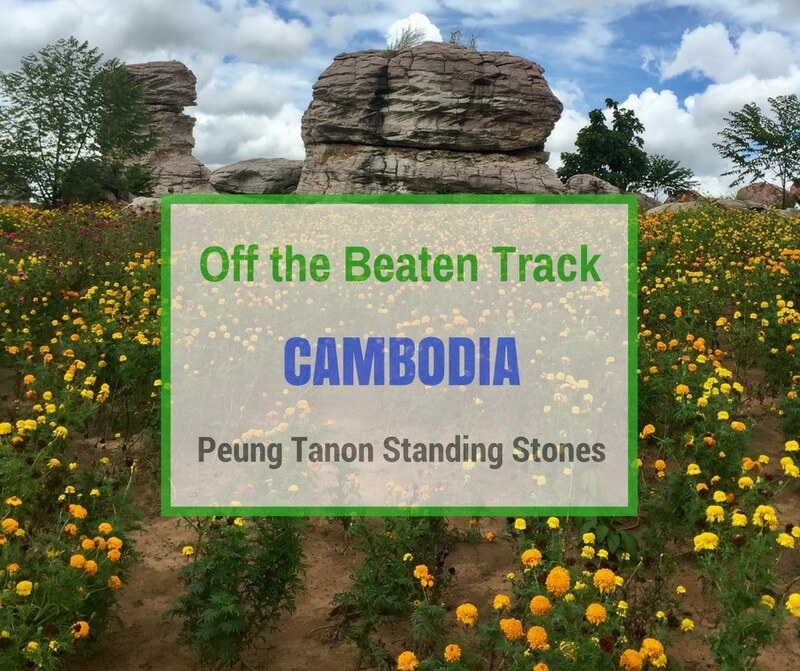 Have you been to Peung Tanon Standing Stones or another relatively unknown site in Cambodia? If so we’d love to hear about it in the comments below! I wish I had more time in Camodia  This looks amazing! The only places which were less touristy I’ve visited while in Cambodia are Kratie and Battambang and they were certainly worth it! Maybe next time then… thanks for the tips! I loved Kratie too – haven’t visited Battambang yet but it’s on my list to do in the next few months! I am quite impressed by those rock formation. They look so unique. How come I have never heard of Peung Tanon until now. I would have made the trip there had I known about it when I went to Siem Reap. All I knew of Siem Reap, to be honest, is the Angkor Wat. I would have wanted to explore its off-the-beaten destinations. I’ve visited Cambodia 4 times prior to moving here (over 10 years) and I’d never heard of it either. I think it was only recently discovered which is probably why you hadn’t heard of it. Even most of the locals still don’t know about it! These are geological formations which have formed after millions of years of interaction between rocks and wind. It is strange to find such formations in a humid and moist country like Cambodia because the wind there is humid unlike in dry countries and places like ours. Thanks for the insight Swayam – interesting to hear. I did think the ocean bed theory didn’t sound quite right! Wow, those standing stones are just really stunning at their own right. They are just showing so much serenity while owning their innate beauty for us to enjoy. I haven’t heard about this one, and it fact I find it really unique. I will surely visit here and traipse my feet along with its stunning innate beauty If get the chance. Thank you so much for sharing this with us. Yes they really are stunning aren’t they; I’m glad I was able to share something you haven’t heard of before! I hope you get the chance to visit them! I actually haven’t heard of this off beaten path thingy in Cambodia, until just now. haha I am planning to go back again later this year and this could be an option for me to see. The stones look fantastic as it is. And I hope that this would remain its less touristy atmosphere. Cambodia has always been a world of temples for me, and I’m happy how you are sharing off the beaten sites for a new perspective for people like me who haven’t been to the country. Also, those standing stones look amazing and peculiar at the same time! That’s exactly what this series is about; I really hope people spend some extra time here to see other things as well as temples! Thanks for the detailed info on this. I plan to go to Cambodia a few weeks from now and this will help me a lot on our trip. The standing stones really look amazing. Thank you for giving us a heads up on what we can do there. The Standing stones are really intriguing. 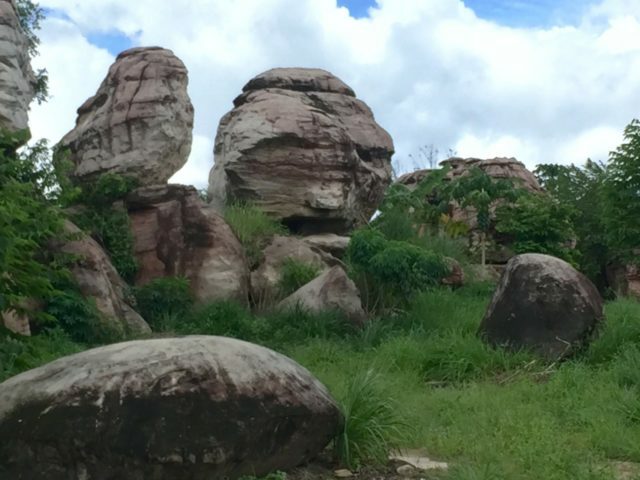 The rock with the human face looks so lifelike. Nice to read about places other than the temples of Angkor Wat. There is so much to see in Cambodia beyond the famous temples too. Yes there were, we loved wandering round them trying to make out faces and other shapes in them. I’m loving exploring the off the beaten track places in Cambodia. Wow I’ve never heard about these standing stones before. It’s so interesting especially those rocks which look like faces.I’m curious to know how old these are. Love the greenery surrounding the place . Thanks for sharing those tips! Neither had I until recently, that’s why i had to visit! I have no idea how old they are, but hopefully one day we’ll learn more about them! Where abouts are those stones in India? I think the landscape, flowers and greenery surrounding this site make it all the more special. I did it by cycling to/from Siem Reap. You have to be fit. The ride is at times incredibly scenic. Though a watchful eye is needed as truck after truck go past on the road – the reason for those large potholes. By the way: no Apsara pass is required for Peung Tanon. However make sure you don’t go through the park to get there as one would be needed then. There is a way around the park so not necessary to pass through it. Yes it would definitely be doable by bicycle but it would take a long time and you’d have to be fit! 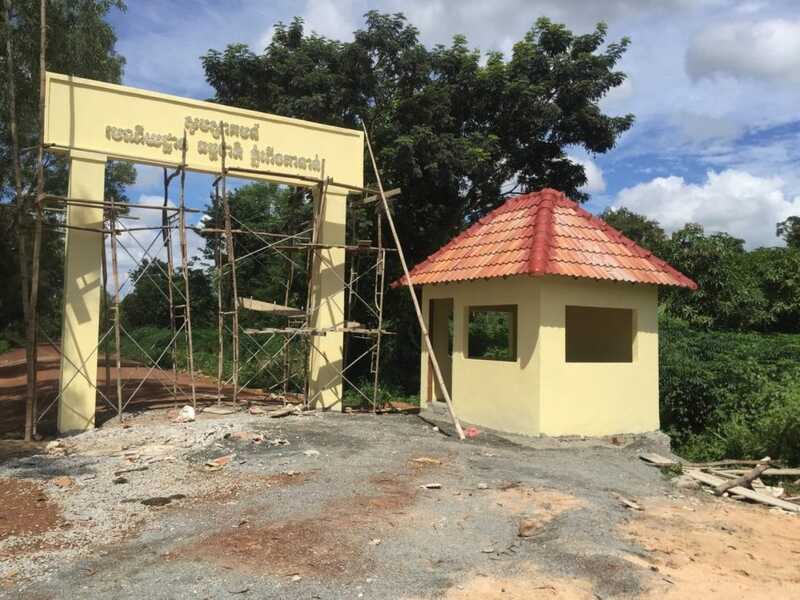 Yes currently no charge or Apsara pass is needed, it’s free although as I wrote in the post it does look as if a ticket booth is being built so it may not be free for long!